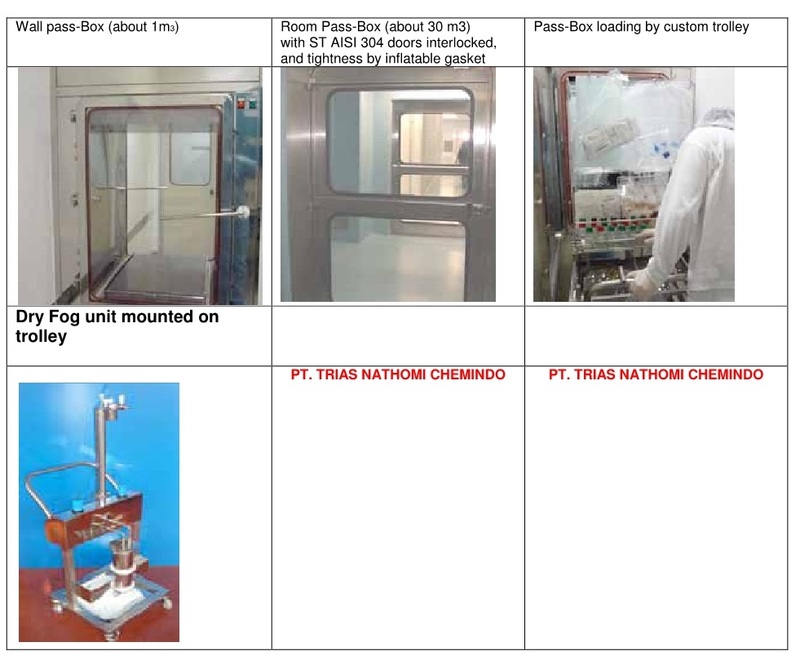 Diachrom Biotechnology Pass boxes series DIA-PBSS are designed to assure the bio- decontamination of medium-small rooms with sanitizing products diffused as fog generated from a suitable spray jet functioning with compressed sterile air. The environment decontamination is obtained by means of the sanitizing fog that uniformly wet all available surfaces and volumes reducing the initial UFC microbial charge up to 3 log. At the programmable decontamination completion it is started the closed room aeration to guarantee the Hydrogen Peroxide concentration reduction below the foreseen ruled limits (1 ppm) before to allow the opening of the interlocked doors. By measuring the internal relative humidity increase it is possible to know the reached concentration of Peroxide, while the detection of the minimum concentration is used to determine the end cycle. The pass-box room is kept always insulated from the external by two doors pneumatically interlocked with inflatable gaskets surrounding all the border. 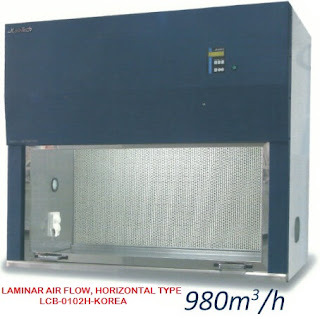 The air fluxing is made through absolute filters by centrifugal fans with controller speed to balance the internal pressure to a medium value between the lower and higher class environments, with automatic valves on the ducts to hermetically seals the interior when the sanitization process is running (redundant micro-switches control on both valve). In case of electric black-out or any other emergency situation, all the electrovalves keeps their state, assuring always the operators safety. The access from the dirty side made "contaminated" the pass-box environment, then it is necessary to proceed with a sanitization cycle before to again allow the access from the sterile side. The opening of the doors is commanded by a selector switch with two stable positions. After acknowledging the open request, the gasket is released and, with the related pressure switch off, the pneumatic block is commanded off. The start command is available only with doors closed and no actives alarms. The sanitization cycle is based on three different phases. The first phase is the sanitization, with diffusion of the Peroxide, that is considered correctly completed after reaching the relative humidity set-point, as in the cycle parameters. The second phase is the contact time, when the sanitization is effectively performed. The third phase is referred to the air Exchange at the sanitization end. The cycle is considered completed when the measure remains under the programmed threshold for a programmed time. If this not happen before a programmed time-out there is a warning: the system keep trying to reduce the residual Peroxide concentration before to allow the opening of the doors.